This is a die-cut Famous Reading Anthracite porcelain sign. This particular Famous Reading Anthracite sign is red, black, and white. 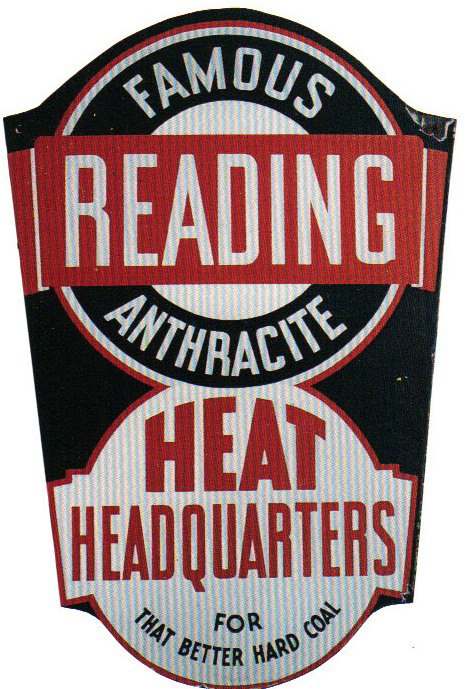 It reads, “Famous Reading Anthracite, Heat Headquarters for That Better Hard Coal”.